Skeuomorphism is (finally) dead: So what is Apple’s next design move? Much has been said already about the departure of Scott Forstall at Apple. The politics of it aside, with a refreshed executive leadership in place, CEO Tim Cook now has the opportunity to usher in a new era of discovery and transformational design at Apple. It’s an exciting and possibly defining prospect, but the question remains: If Apple’s current software design style needs an upgrade, where could newly installed design head Jony Ive and his team take it? Ive is clearly an extremely talented and passionate design leader, but his background is in hardware. Will his abilities scale to successfully lead all of Apple’s software design too? Since the early days of Apple, their approachable design made digital software and interfaces accessible and usable, to the extent that even a child could use them. But their innovation since the launch of the first iPad has either been incremental (for example iOS or the iPad Mini) or flawed (for example Siri and Apple Maps). Their software design has also remained stale with many contending that a refresh is overdue. Arguably, Apple is now playing defense, giving competitors like Microsoft and Google space to innovate and set trends in interface design across devices and platforms. Steve Jobs was—notoriously, to many members of the design community—a fan of skeuomorphism, a style that relies on real-world metaphors and textures in digital interfaces. Fake leather, wood, paper and glass became commonplace in Apple applications, in addition to real-world metaphors like bookshelves, paper shredders, and even casinos. While skeuomorphism might have been beneficial in the early days of computing in helping less-tech-savvy types navigate a user interface, it now feels out of place in a world where most people are using a host of digital interfaces throughout the day, and where younger people have never even experienced physical rolodexes, paper shredders or giant desk calendars. From a design perspective, when used excessively skeuomorphism is at best out-dated, at worst confusing and tasteless. More importantly though it feels at extreme odds with Apple’s hardware, which is designed with sophistication and constraint. So where might Apple’s designs go? Looking at competitors like Microsoft, its new Windows UI style, across operating systems, is at the direct opposite end of the spectrum from skeuomorphism. It’s a modernist Swiss style, where all excessive embellishments are removed. The life in the experience comes from content and transitions, not from visual UI ornaments. The wildly successful Android OS lands somewhere in the middle of the spectrum, between skeuomorphism and the new minimalist Windows style. While visually Android is not leading the way (and here I include all of the Android licensees), there are now several interaction patterns and solutions that are better designed and more advanced than what iOS offers. Microsoft has claimed the minimalist corner, and a radical Apple departure from their current UI style could be confusing to existing users, and would also admit defeat (which is not a very Apple-like trait as well). Apple has long had a human-centered design focus, and has gone further than most to make technology accessible to everyone. Apple’s challenge then is formidable: To retain the focus on simplicity, accessibility and ease-of-use, while at the same time refreshing their UI style and introducing design consistency across their increasingly wide range of software and services. It’s a tall order, and will need investment, focus and talent. The most transformative devices today are ingenious pieces of software wrapped in desirable hardware. The Nike+ FuelBand or the self-learning Nest thermostat are examples of new software products that are wrapped in well-designed hardware. Apple has long been the master at this, but competitors are encroaching on their territory. Microsoft has gone against its hardware suppliers in creating its own showpiece for Surface—a move it had to make to ensure that the hardware maximized the potential of the software. But creating this combo is not easy, and Apple will have to work hard to stay on top. Various pieces of Apple software on a range of different devices connect to incredibly advanced services and algorithms in the cloud. Orchestrating this, and presenting the services to people in a way that’s easy and delightful to use, is very challenging. Not many companies do it well and consistently (which is why the relative failure of the complex Siri and Apple Maps services weren’t a big surprise for some). With iOS, Apple showed the world how the graphical touch paradigm should work. Modern touch interfaces are now characterized by responsive, fluid and direct interaction, while tapping, swiping and pinching have become dominant gestures. Apple led the way in making touch interaction mainstream. Looking ahead, interactions will move beyond the screen into thin air, and both input and output will increasingly use voice. Apple now has an opportunity to once again lead the way and design the dominant interactions for what comes next in computing. The wearables category will need great design to go mainstream, and Apple’s entry in the race could be inspiring. A radically redesigned iOS would be very interesting, and a confident Apple entry into “control point” services like search or commerce would be fascinating. If Cook and Ive are able to succeed with a bold investment in a service play, they will not only create immense value for Apple, but also demonstrate that they can pull off their own innovations, rather than just incremental changes to what Steve Jobs envisioned. Om Malik’s recent piece here about the change-up at Apple highlighted an increasingly schedule-driven release culture under Tim Cook’s leadership. This might indeed become a challenge for software innovation. If the question “when do we ship” ever becomes more important than “what do we ship,” true innovation, risk-taking, and design excellence become hard. A radical refresh of iOS, a category-defining entry into wearables, or a confident push into services like search or commerce could spell the real making of Tim Cook. Right now the jury is still out. For us designers, Jony Ive now has the chance to upgrade his status from mere legendary design Lord to design demigod. I hope he takes it. Apple image courtesy of Shutterstock. Seriously, claiming skeuomorphism is dead just because Scott Forstall is a mediocre designer seems like overreaching. It’s like trying to nail down his mediocrity to a decision he made instead of being completely blunt. The problem with iCal isn’t the stitched leather, it’s the fact that the buttons look ugly, the white space is wrong, the colors are bland, the layout design is lazy, and that there is no consistency in the design at all. Go to dribble, search UI or app and find some examples of perfectly designed skeuomorphic designs, with good fonts, good white space, good colors, good buttons and elements and good readability and space optimization, and then tell me how blaming it on skeuomorphism instead of blaming it on Scott Forstall is the way to go. Skeuomorphism is ridiculous and hopefully will now die a quick and painful death. It takes up space better used for other things like data, and looks cheesy and childish. A directory of eBooks IS NOT a bookshelf, and should not be treated or portrayed as one. Not to mention that almost anyone under 30, wouldn’t recognize half the objects as what they’re supposed to be anyway. a directory of eBooks is literally a pattern of switches in on/off combinations. End of story. That you call them “eBooks” at all reveals a necessary level of visual and mental abstraction that you describe as “ridiculous” and yet very clearly is not. Thank you Gary Boodhoo, the voice of daylight in a storm of nonsense. I agree Microsoft Windows 8 is well suited to touch screens but feels alien when using it on a standard desktop or laptop. I cant see how the interface will work with business customers ! Most of this is utter nonsense; there seems to be a profound confusion of various different aspects of design, usability, technical development, aesthetics, and other issues universally related to capitalist economics and the realities of the market place. The discussion shows also a profound ignorance of the history of computers and computing, and the (for the most part) resolved issues surrounding the democratization of computing to include the otherwise illiterate and those with physical challenges. There is nowhere a recognition of the relationship between the underlying logical architecture of a “computer”, the chosen operating system, and the possibilities and limitations of a “user interface” with the machine. Perhaps Steve Jobs’ most unique and revolutionary ability was his deep understanding that he was taking the most complex and complicated machines ever developed and making them easy to use and accessible to everyone, limited, if at all, more by economic reasons than by lack of a highly technical education. And…he was designing machines which would eventually be used by other people who did not themselves design them or have the slightest idea how they worked, nor would they ever need to know. One need not ever have touched the screen of a Windows 8 machine to know that underneath its ‘modern interface’ (modern in exactly the way ‘modern art’ might be different from earlier art) of colorful tiles lay a “menu system” of some kind that is a graphical representation of the hierarchical operating system at the heart of an information machine. Unless one does not ever intend to use a keyboard, it seems to me them only bit of separate “hardware” apparently eliminated by a touchscreen is a mouse. How long will it be before every Windows 8 user is clamoring for a peripheral ‘mouse device’ compatible with his or her new “touchscreen” computer? Perhaps the greatest thing lost to the world with the passing of Steve Jobs was someone strong enough to say ‘no’. One certainty is that Apple is *not* going to look to others about what to do. They won’t look at Windows, certainly not at Android – they’re going to do their own thing. Apple is a leader in design – they won’t copy others; looking at their hardware design their arrogance is fully justified. Nobody makes anything that even comes close. So software will follow that. Regarding skeumorphism – everyone knows that Jony Ive hates it but I am *hoping* that he’ll keep some of it alive. I like skeumorphism when it’s done tastefully. I like the pinstriped backgrounds in some apps – it makes the app feel warm and fuzzy without taking away from functionality. It *can* look nice. Apple has clearly lost the plot on the tasteful part here in some apps like iCal and address book – those are plain awful and good riddance to them. Maybe I am against skeumorphism in general on the Mac. But on iOS, I think it has its place. Reports of the death of Skeuomorphism are greatly exaggerated. A “radical refresh” of either iOS or OS X is an insanely silly idea; it is both unnecessary and…completely unnecessary. But it is a flattering idea…but only to those who make such radically ridiculous and preposterous pronouncements. Yet fools will have their errands, especially if (and only as long as) they can find a greater fool to actually fulfill them. This is all so ridiculous, I can’t stand it. Jony Ives has only ever designed hardware. If iOS looked like Windows Phone, we should expect it to change to look like real world hardware devices. Further, OS X has always been photo-realistic. Since 1988. Fingers use buttons and sliders on iOS. In ways that are obvious and familiar to the user. Not only will this not stop, it cannot stop. Windows Phone is not more â€œpureâ€ in some way than iOS. Blue gradients in 100 apps is not more pure or better in any way than 100 real world textures in 100 apps. The user can tell the apps apart. The apps can use idioms that the users know well. Finally, I would challenge anyone who has a complaint about an iOS interface to make a better one. Just STFU and make something better. You can’t. Because it is impossible to fill a Retina Display’s real-world image with anything other than real world items. It is impossible to use 100 apps daily if they are all white text on a blue gradient. That is not pure, it is lazy. It is what programmers think is a good enough interface. Users have spoken â€” Windows Phone is not good enough. A key feature of iPhone and iPad is that an app can make either device stop being an iPhone or iPad and start being another device. For example, run Messages and your device is now essentially a BlackBerry. Run FourTrack and your device is a portable multitrack audio recorder. Run Beats and it turns into a metronome. That is a feature, not a bug. The apps are uncontrained from bringing to life any device or interface that enables the user to get productive and stay productive with almost no training. Oh, yeah â€” training. I have consulted at companies that are buying iPads for users who refused to go to Windows 7 school, which takes a whole week. Instead, the company gave them an iPad with NO TRAINING and lets them transition themselves from XP to iPad. XP to iPad is the best upgrade ever. 10 years more advanced in every possible way, including no viruses. The reason iPad requires no training is that so much work was put into human interface that the device explains itself. People already know how to use a pocket calculator, note paper, etc. Expect the iOS/Mac hardware and iOS/Mac software to become more integrated, but also expect the software to become more like hardware, not less. Replacing hardware is the whole purpose of the touchscreen. The touchscreen has a million buttons so that the hardware can have almost zero buttons. The touchscreen buttons can look either like the 10,000 buttons the user has already seen and used in their life, or not. The purpose of calculator buttons looking like calculator buttons is easy to see. The purpose of making them look arbitrarily like they were made on a computer is unclear. Only computer scientists and enthusiasts care that iPhone is a computer. The other 95% of humanity cares that it is a phone, iPod, calculator, and many other devices in one. Me, I used to carry 4 or 5 Walkman-looking portable devices for my work, each requiring a different AC adapter and different batteries. Now, I have an iPhone and a couple of hardware accessories and a handful of apps. It is much cheaper and my batteries last all day and recharge easy over USB. The storage is much larger. Ironically, the interfaces are better, even though on a general purpose device. The idea that I want my apps painted over to look like Windows Phone is absurd. Passbook essentially works only with encrypted keys sent back and forth over the network. Should Passbook have a console-like interface where keys are shown to the user along with success and error messages, or should it show the user tickets that they can either use or destroy? The latter of course. iPhone users do not want to see the encryption keys â€” that would be a DEVELOPER interface to Passbook. Users want to stop working with the paper/plastic passes in their left hand and start using the onscreen passes on the iPhone in their right hand. Yes, the passes should be virtualized (what you are ignorantly calling skeuomorphic, and even worse, it is 3rd hand ignorance) so that the user can see the plastic Starbucks card has been replaced with the one in the iPhone â€” the Starbucks card is the same. Same reason the pianos in GarageBand all LOOK LIKE PIANOS. The reason is: THEY ARE PIANOS. They are not computers. A console-like interface telling me â€œmiddle C struck at velocity 110, time stamp 01:00:04:22â€ is not going to help me play a piano part into my song recording. Instead, I need a piano interface. You can find a piano interface on devices with strings, pipes, synthesis, sampling â€” there are no â€œreal pianosâ€ â€” the piano keyboard is a human interface only. The music can be made in hundreds if not thousands of ways. The idea that the piano keyboard should be made to look computery on a device with a computer in it is TOTALLY ARBITRARY (by which I mean, the worst kind of bad design.) The musician does not care and usually does not know if the sound source is physical strings or pipes or digital synthesis or whatever. They are looking for keys to strike with their fingers, at a specific moment in a musical composition, and with a variable amount of velocity (striking hard or soft.) The pianos in GarageBand on iOS are incredibly useful musical instruments. Making them pixelated and using only 16 system-approved colors adds NO VALUE AT ALL. It may in fact reduce value. It would be done only to please a certain kind of tiny Computer Scientist nerd mind. Again, less than 5% of humanity. You have to get over the fact that most computer buyers today are not computer scientists or even I-T. Please do not respond to this with words. Respond with pixels. Show me a â€œnon-skeuomorphicâ€ Passbook and GarageBand that is better than what we have now. Show me how the user works with tickets/cards/passes and musical instruments in a more productive and effective way. Ah, yes. I am partial to skeumorphism but that’s actually a really good logical reason for it. I am sure Steve Jobs saw it the same way. I don’t get the love affair some internet designers seem to have with Windows Metro either – it’s “clean”, until you try to do something and find that all the functionality is hidden behind similar looking tiles. Whereas iOS is so direct, so obvious – well exactly. That’s the point. are you seriously comparing Windows XP to an iPad? Missing your point entirely. I completely agree with the point made about wearables. This is the only place the personal device industry have left to explore. I would love it if Apple led the way on this because otherwise wearables will be Borg-like ugly. Unlike Google’s Glass device Apple should make twin screen glasses 1080P and redesign the interface from scratch as 3D. This will be truly ironic forcing a return of the cursor, but the new cursor will be eye tacking, voice and infrared sensors simulating your 10 fingers in a 3D space. Future face-to-face social will be enabled by simultaneous viewing of information on each personal wearable. Narrow glasses will enable looking over the top of them, the equivalent of the visual cut off of a car windshield while driving. Headphones will have 2 volume controls to mix in ambient sound. Ok, call me nostalgic or something, but I love the gently ambient characteristics of well-done skeuomorphs. They add important, comforting, emotional, organic aspects to an otherwise potentially bland, dry, cold, post modern experience. I believe they improve productivity when done right because they can improve the emotional aspects of using the tools, which improves motivation, and can generally re-invigorate the user. We are not designing screwdrivers, wrenches, or handguns. We are designing lifestyle, even when the tool is intended for workplace use. A gorgeous UX with some natural organic and realistic skeuomorphs give me a boost amongst the beige cubes, black aeron-esk chairs, cabling, and white walls in my corporate office. At home, these things on the device screens help the technology blend in and be more accessible. I guess the author lives inside of a computer, void of paper or wooden objects, or office supplies, or air. I enjoy playing backgammon, for example, on a screen that looks like a backgammon board, or on a card table that looks like a card table. I enjoy using Notes and iCal and Busy Cal and don’t mind at all that look like their real-world counterparts. There is ugly design and good design, in any school. Game Center is ugly under any circumstances, but I find Notes to be pretty, and iCal is far nicer to look at than Google’s calendar – or anything in Google Docs for that matter. I thought Windows 8 to be intriguing at first but its lack of detail has rendered it boring and ugly with repeated use – much like this conversation! Gruber was right – he is everyone once in a while. Let’s move on. Apple will have to tread lightly here. Certainly, the conveyor belt of rows of icons has passed its sell by date. Also, it has never been the most user friendly, once you accumulate any number off apps. But the Apple faithful have been conditioned to a pretty simplistic (all be it simple) UI, so asking them to invest a little time in learning new steps to improve the appearance and usability of the UI is going to be monumental. Years of bashing Android as to complicated….which by the way it is not…is going to come back an bite Apple big time. Oh,and by the way, that conveyor belt of apps with no true multitasking….doesn’t place much demand on the iPhone processor or internal ram. But when Apple starts looking at updating its UI to a modern approach….their going get a shocking introduction to life in the UI fast lane. Android took its lumps up front…but time and hardware improvements has allowed Android to evolve and master these formidable hurdles. If you want to see what I am talking about, take a look at the Samsung Note II running Jelly Bean. There is a smartphone that is state of the ART. Yeah and I am talking second generation stylus technology to boot. Good luck on this Apple. I have used Apple products for years in spite of rather than because of the dopey looking UI of many of their applications. I tend to avoid using the ones that pretend to be some antiquated object. Decorative surroundings for ones like address book and photo booth are just distractions and quite off putting as well as taking up space on nice big screens which are effectively wasted. Tiles? The first Mac left 2D shapes behind – and for that reason, W8 looks like it’s designed for a kindergarten class. Shredders unknown to young ‘uns? Check Staples for SKUs aimed at SoHo. Don’t use a shredder you’re feeding the identity thieves. Makes me think the rest of the article is out of touch with designing and building stuff for sale. Geek therapy achieves little in the marketplace. You didn’t get John Gruber’s memo that discussion of the skeuomorphism factor in the shakeup at Apple “has gotten out of hand”? Also, economic productivity has fallen dramatically over the past week due to Hurricane Sandy and all the time people are taking to figure our how to type out “skeuomorphism” correctly on their keyboards. You’re not helping. I think you have to be careful as there are degrees of skeuomorphism. The whole desktop metaphor of (well) desktop, files, folders etc is skeuomorphic and although the UI formerly known as Metro does away with metaphor, as does iOS, nobody is screaming about the Mac interface. What people sensitive to this stuff don’t like is the cheesy skeuomorphism that doesn’t do anything for usability or rationality or detracts from it. I think playful animations will remain. Microsoft’s modern UI design in Windows 8 is admirable in its purity but dismal in its usability on non-touch hardware. Ergonomically speaking, touch screens are not sustainable for 8 hours of desktop use per day. The winner in UI design is not just about how it looks, but how usable it is. Apple would be well-advised to make small, incremental steps while keeping the existing user-base happy with a robust and productive computing experience. If they insist on doing something radical to catch up with the rather desperate move that Microsoft just made, they will lose. I disagree. I’ve had MS Surface for a week and I absolutely loved the user interface. It’s simply stunningly intuitive. All would be perfect if they actually made it performant enough, Win8RT is bogged down by performance problems and unbearable lag. On a Surface, I agree the UI probably does make quite a bit of sense and could be fun. I was more talking about the woes inflicted on a desktop user who spends an 8 hour day at the office getting important stuff done. Corporate IT departments won’t let that happen, so we are good for the next year or two. I don’t think the touch paradigm works well for long desk-bound shifts manipulating spreadsheets and word processors. This shotgun marriage between the touch-driven world of phones and tablets and the world of desktop productivity is going to create all kinds of grief. Microsoft is ensuring that the future of business desktop computing on its Windows platform is all but untenable. Because, otherwise, we could ignore their brave new world which would cost them a market. I completely disagree with you mate .. I’ve a non-touch ultrabook and I can work on Win 8 as fast as with previous versions of Windows .. In fact I think Win 8 increases productivity in some areas .. agree there’s a bit of a learning curve .. half an hour for me .. but I’m loving it .. I won’t mind seeing skeuomorphism disappear. That’ll save me the bother of learning how to spell it. But aging, retro looks isn’t the only area where OS X is showing its age. Text services have added few new features since about 10.3, and most of those have been copying some of Microsoft Word’s more irritating features. And that lack means that text apps from all but the largest of developers lack many useful features. * Why, five years into the iPhone, can’t I easily send documents direct from any app to my mobile devices from the File menu. Displaying a document created in any OS X app on a nearby iPad should be as easy as it is with iBooks Author. Why are there all the kludges like email or a dependency of apps on both platforms that synch via Dropbox or iCloud? * Almost everyone in business depends on marking up text for changes. Why are they stuck with Word? Why isn’t correction markup built into text services? And even more important, why isn’t there a markup that works between apps and platforms, i.e. corrections marked oon one app on an iPad to can be used in another on a Mac? And why can’t colleagues easily share these edits without kludging with email or shared Dropbox accounts? * We’ve been able to create PDFs from documents for ages. Why can’t be do the same with ePub? Why isn’t ePub one of OS X and iOS’s native formats? Mobile devices like iPhones are terrible with PDFs. They need the wrappable text of ePub. * GREP S&R in InDesign is incredible. Why isn’t there a text service to add it to every text app, one filled with all sorts of clever scripts like auto-formating phone numbers. * Displaying documents intelligently on screen sizes from huge displays to iPhones requires that text to be marked for its meaning rather than its font size. Why is Apple still stuck in the era of Wordstar, with fonts and rulers. Why can’t we tag text as headers, body text and the like and move it easily between devices and platforms, with the layout and font size adjusting to display well on each. There’s a lot Apple could be doing with that $100 billion in reserves they have. Money they could use to leave their competitors in the dust. And much of that money should be spent on practical stuff rather than eye candy. i’m confused are you getting all these things in Android? Windows?, Linux? who is doing it better, sounds like you should stay in a specialize program like Adobe Indesign, or Quark Express. The iPhone is currently as powerful as a G5 PowerMac. Are you seriously saying that we shouldnâ€™t have this functionality within the iPad? I absolutely disagree, and this is coming from somebody who is actually bringing some thing like Pagemaker/Quark/InDesign to market for the iPad in a matter of weeks. 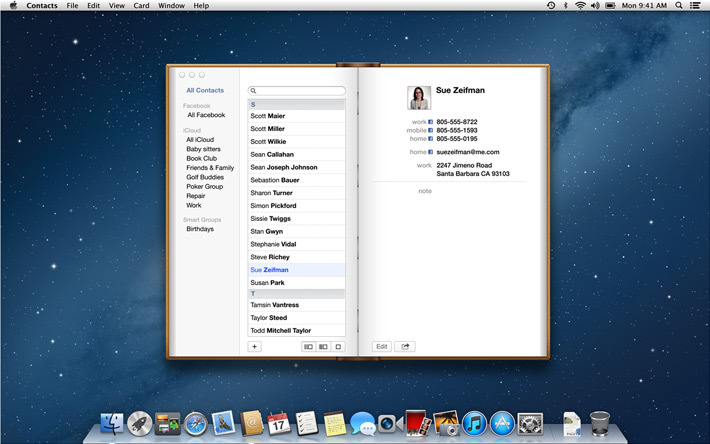 Each day on my Mac, I save Pages and Numbers to iCloud and then open them on my iPad or iPhone. I also save Pages documents as ePub books. I don’t understand your complaint about these functions. You’re confusing app-level functionality with OS level functionality. The argument here is that the OS should begin to tackle social and cloud functionality across all applications on the universal level the same way that it does finding and printing. Not sure about the others but to me the ONE missing feature in iOS is document handling. There should be a document vault, all documents go there, and all apps can access that and show the documents, and users should be able to go there and open any document with any installed app that’s compatible. Removing this made things “simpler” (and way more secure) – but it also made other things incredibly difficult. Sharing data is at the core of computing. A computer that’s bad at sharing data is unacceptable. The idea that skeuomorphism helps users understand interfaces by relating them to real-world objects is a myth that has been disproven many times over the years by usability professionals. What Ive can (and I would assume, would) bring to the iOS and OS X interfaces are some of the fundamentals of usability that Apple has lost in favor of nonsensical design glitz: consistency, discoverability and memorability. My most-used iPhone apps are the ones that forgo gimmicky glamour for elegance and a focus on usability and functionâ€” Mail, Camera, Calendar, Reeder, Instapaper, Calcbot. Ease of use out the window, Tiles perhaps?, Ribbon maybe? Skeuomorphism is not necessarily “dead”. What Forstall and Jobs had been implementing of late was excessive and harmed usability in many cases. Usability in comparison to who? Linux, Windows, Android only geeks come up with that view iOS is useable by normal people from 2 to 92. Tiles or Ribbons isn’t going to get it done. Windows 8 won’t get done. I think changing the UI on its user base is only going to alleniate the cult crowd. You correctly point out the 3 UI and a 4th UI is like bringing ‘New Coke’. Will not work. What they have to integrate much better is the UI to the cloud. Honestly iCloud, Itunes, Siri etc etc all of them that have a cloud dependency, Apple is way behind (even microsoft on that). Google by far us numero uno and if any the focus on that. A good example of that ease of use case is dropbox+cloudON. Beautiful and seamless. Too late to build it organically. Find a team that has been doing it and build around them. I do agree that seamless integration of wearables and home devices is also a big opportunity. There is atleast another $1000 to be had/household if they get it right (Nest, time machine, nike, azumio are all examples of these) which is another device + services in the home/person about $60B. Where’s the profit? changing the design for design sake, will not work satisfying a few geeks and artists will not work. And if Google is so good where the Q and more importantly where the profit. Where is the PROFIT IN THE CLOUD NONE OF THOSE COMPANIES ARE MAKING ANY MONEY AT ALL. People were asking where the profit would be in a touchscreen device before the iPhone also. Turns out, it was there, people just hadn’t had a reason to spend money on it before. If you add value, people will pay more for it. What’s most interesting in this article are the suggestions about where Apple might go next, both in terms of style, and functionality. Unique angles, thank you. Agreed about wearables, too.